Many parents will be worrying about how they can keep their children entertained for two weeks this Easter and without breaking the bank. Here, Which? reveals a host of free or cheap fun cheap activities that families on a tight budget can enjoy over the holiday period. Many cities have urban farms which include free entry. 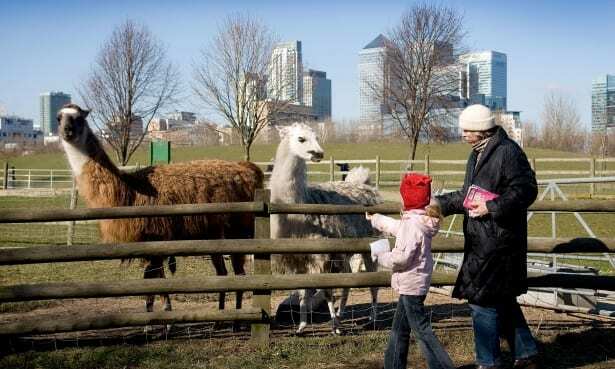 London has a number of city farms offering kids the chance to experience animals up close, including the Mudchute Park and Farm, Spitafields City Farm, Stepney City Farm, Belmont Children’s Farm and Hackney City Farm. If you live in the north or north west, you could visit Newcastle upon Tyne’s Ouseburn Farm, Edinburgh’s Gorgie City Farm, and Rich Lane City Farm in Liverpool which offers various free events. Alternatively, Pets At Home stores are offering free workshops across the country aimed at teaching kids aged between 5 and 11 how to keep pets happy. Vue has £2.49 tickets for kids and adults on weekend mornings. Check out the films showing on the Mini Mornings offer page. If you would rather stay indoors and take advantage of a streaming movie, Netflix and Amazon Prime offer a 30-day free trial, or you can get a well-timed 14-day trial with the Now TV Cinema Pass. Alternatively, the Dalkeith Country Park near Edinburgh is hosting a showing of Toy Story on Easter Saturday, which is free for children and is staging various events including a craft workshop where children can make their own monster. As it’s Bluebell season, you can also find details of bluebell walks near you via the National Trust and Woodland Trust. Free Events is a website that lists events going on up and down the country that are cheap or free to attend. One such event is the open-air reenactment of The Passion of Jesus performed by the Wintershall Plays in Trafalgar Square, London, on Good Friday between noon and 3pm featuring volunteers and real-life donkeys and horses. It will also be staged in Guildford town centre on Easter Sunday. Margam Country Park in Port Talbot has a whole host of Easter holiday activities, including teaching people how to build a bridge – a 17m long cable bridge – and walk over it. The same venue is holding a Mad Hatter’s tea party with Alice in Wonderland characters, games and ‘eat me, drink me’ treats. The National Trust also has a list of cycle and walking routes to try, while websites such as National Trail and Walking Britain also offer maps. Bangor’s Big Easter from 20 April to 22 April will include free events such as boat tours, children’s workshops and puppet shows. See more Easter events in Northern Ireland here. 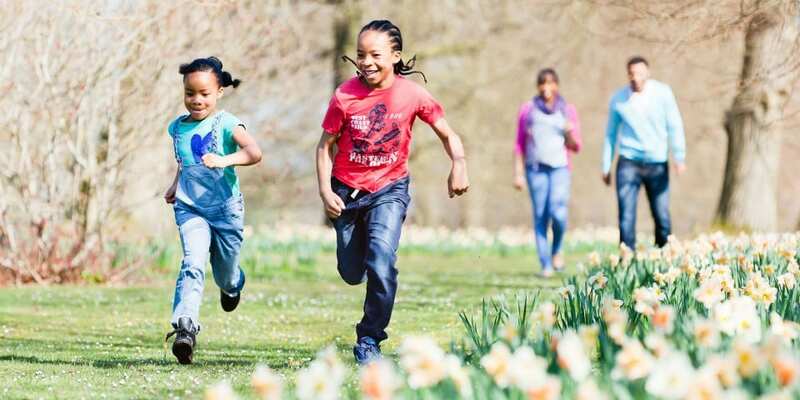 Cadbury has joined up with the National Trust to put on Easter egg hunts at its more than 260 locations across England, Wales and Northern Ireland throughout the month of April. The hunts take place at National Trust sites and cost between £1.50 and £4 for entry. You can find out if one is going on near you on the Cadbury website. 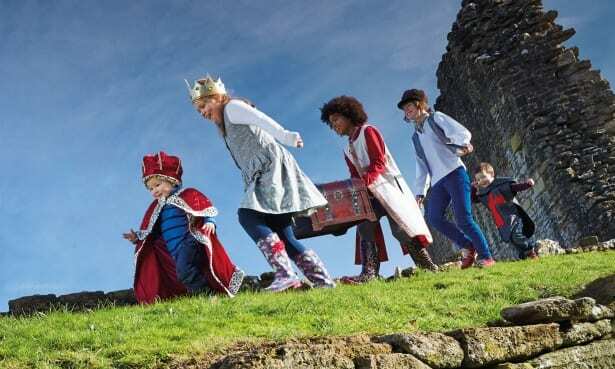 English Heritage Quest are Easter adventure quests, where children can search for hidden ‘dragon eggs’, at its historic locations across Britain including Battle Abbey in Sussex, the site of the Battle of Hastings 1066. You can see the list of events here. and in Swansea this weekend in an event hosted by the Friends of Cwmdonkin Park. Meanwhile, children under 18 get free entry when accompanied by an adult at the Royal Windsor racecourse’s Easter Eggstravaganza, which will include an inaugural Easter egg hunt. Your local museum or gallery could have some exciting events over Easter, some of which will be free. The dofreestuff.com website allows you to find out which museums and attractions are free nearby, while Visit Britain has a list of free museums to try. In London, the Natural History Museum allows you and your family to visit the museum for free after hours. The capital also has the Science Museum, the V&A Museum, and the Tate Modern. A variety of free events at being staged as part of the Edinburgh Science Festival which runs from 6 April to 21. Try the Chocolate Festival in York, the home of Terry’s and Rowntree’s, which offers free entry and a feast of treats between 18 April and 22 April. 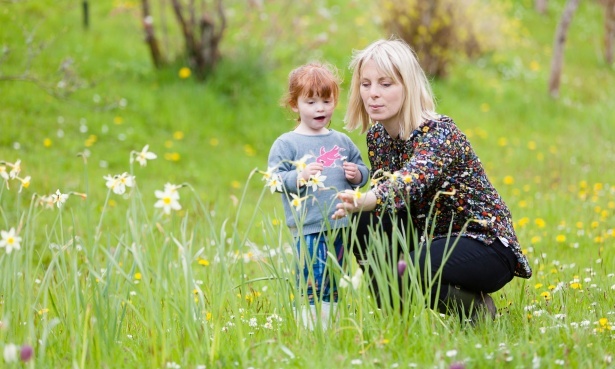 Head to Trentham Gardens in Staffordshire for the Spring Bulb Festival where more than 50,000 extra bulbs and 500 extra ports have been planted to create floral displays. Heritage Railways across the country are staging special journeys for Easter, including on the Ravenglass and Eskdale railway in Cumbria where all children with a teddy bear can travel free. You can see the full list of events on their website. If you fancied a big adventure on the traditional railway line, a railcard can help you cut the cost of train travel. The Family and Friends option offers a third off for up to four adults, and 60% off for up to four children aged 5-15. And the card offers big savings on days out and fun things to do, like saving up to 60% on theatre tickets. Several restaurants are offering kids a free meal over the Easter holidays, including Jamie’s Italian. In April kids can eat free when they show a Wonder Park cinema ticket or confirmation booking. Giraffe lets kids eat free with every main adult meal purchased, Pizza Express is currently offering 25% off food until April 18 but not including Fridays and Saturdays, while Toby Carvery is offering the chance for kids to eat for £1. You can also cut the cost of a meal out with the family by hunting for a discount code using websites such as VoucherCodes. Keep Britain Tidy, a charity working to reduce litter, is staging its annual spring clean events encouraging people to take part in community litter-picking and recycling. You can find information about hundreds of events via its website. More than 374,000 people volunteered at 13,500 events last year and the target this year is to get half a million people cleaning up.